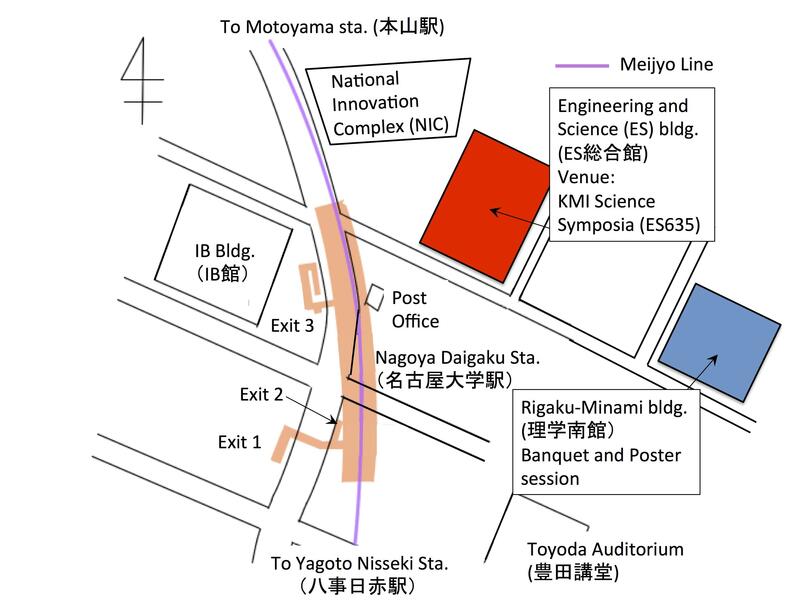 All the plenary sessions will be held at KMI Symposia (ES635) on the 6th floor of the ES Building at Nagoya University, Higashiyama campus. The map is shown below. The building locations (with each index) can be found on the Campus map [PDF]. The poster session and party (February 21, 18:30-20:30) will be held in the lobby of the Sakata-Hirata hall on the ground floor of the Science South building (D2, 7). The building locations (with each index) can be found on the Campus map [PDF].